The goal of the Miniature Horse Club of Eu is to promote the knowledge about Miniature horses through organizing shows, events, competitions, clinics en educational seminars all over Europe. Next to that it gives the opportunity to register 100% American Miniature Horses in the European Studbook for American Miniature Horses. The present MHCE first consisted of 2 associations namely the MHCEurope and the EUSAM. However January 2013 the 2 associations merged to keep the costs low and to provide more opportunities for their members. The MHCEurope was founded in 1999 in Belgium. It was a club for humans and animals and shows were the central point of interest. The first show was in Belgium followed by The Netherlands. Now there are shows in many European countries. In recent years the quality of Miniature horses has substantially increased as a result of the love for the breed by Miniature Horse people. In Europe with have some of the best Miniature Horse breeders which translates into top quality horses. With pride we can say that Europe belongs to the top of the World in Miniature Horse breeding. In 2007 the European Studbook for American Miniature Horses, a.k.a. EUSAM, was founded. 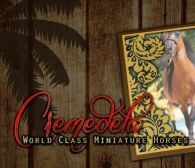 The EUSAM registers the American Miniature Horses in Europe and is only available for pure bred American Miniature Horses which are registered at the AMHA (= American Miniature Horses Association). The EUSAM Studbook was founded in The Netherlands and is approved by the Dutch PVE organization. Did you know that some uk casinos also have their own betting platform where you can bet on horse racing? Check them out at casinotestreports.com!